Answer: Marissa Waller, the founder of BeauTeaBar, who happens to be a yoga-practicing reformed lawyer. Though she may not be using her tough-gal chops in the courtroom, you better believe Marissa is putting every brand and ingredient through a thorough screening before it comes into her Cold Spring Harbor, New York, store. Marissa’s eye for detail and knack for introducing new brands to market (I first learned about KYPRIS through dear Marissa!) gives BeauTeaBar that je ne sais quoi. One thing that makes BeauTeaBar special: Its devotion to beauty teas! That explains the fun naming of this site and supports the idea of taking care of ourselves from the outside in. 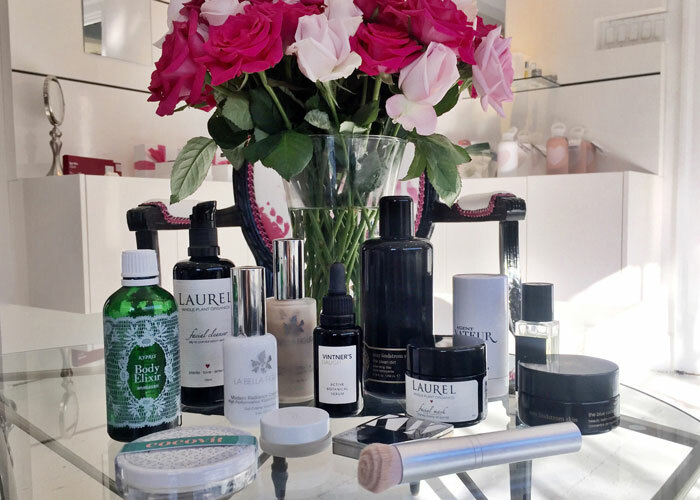 Speaking of, Marissa is sharing her top picks for how she likes to take care of herself using the luxurious products she stocks. Read on to see her choices! *Indicates that I also use and love it! This is the product that truly started my obsession with green beauty! This gentle but ultra effective exfoliator makes your skin insanely soft and smooth. Plus, it helps keep my acne-prone skin clear all year long. This product stole my heart from first use. It has a truly exquisite scent. It contains 22 of the most potent botanical ingredients for radiant and bright skin. Every time you apply it, you feel like you are draping your face in the finest cashmere. After just a few days of using it, I started wearing a lot less foundation because I was so excited to show off my glow! This potent vitamin C gel is my first line of defense against fine lines and hyperpigmentation. After a few weeks of use, I was amazed at how smooth my forehead appeared and how much my dark spots had faded. When I stop using it, I noticed a dramatic difference, so this stays in my routine always! Who knew deodorant could be so chic and glam? This beautiful natural (and aluminum-free, of course) deodorant is perfect for everyday use. Plus, the stick form makes it an instant winner in my eyes! I love the entire RMS Beauty line, but this foundation brush is my everything! It’s perfect for a more polished and full-coverage look, and it really helps to even out your creamy foundations. It also fits well into the small creases around the nose and is amazing for the under-eye area. I have a really hard time with natural hair care products. I have a very oily scalp that requires a heavy shampoo almost every day, but I also have dry hair, so I can’t use harsh products that strip the hair. This Evolvh shampoo was the answer to my prayers. It gives a generous lather, smells divine and gets my hair super clean, but it never dries it out. Whenever I have a special event or I just want to freshen up my complexion, I reach for this mask. The honey is super soothing and hydrating, but the enzymes from the berries naturally exfoliate the skin and give you an unmatchable glow. Not to mention, it’s totally delicious. Have you shopped at BeauTeaBar before? What are some of your favorite products that they carry? How would you describe yourself? Tell me in the comments!